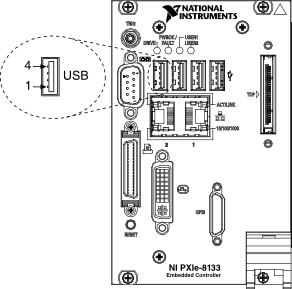 The following figure shows the location and pinouts for the Universal Serial Bus (USB) connector on the NI PXIe-8133. Each controller has four USB ports on the front panel. The following table lists and describes the USB connector signals.